Coffee Brothers joined our Mission to help provide access to “Clean Water for All by 2030”. This Mission was initiated by the United Nations. A big thank you to Coffee Brothers’s team and customers for joining this extremely important mission on 26 April 2018. The Coffee Brothers story begins back in 2010 when Mark and Tony met and started their own business devoted to quality coffee in their local area. Tony’s drive towards bringing specialty coffee to the community was inspiration enough for Mark to delve once again into hospitality, and together, they sought to expand the industry, one customer at a time, to reach as many people and communities as possible – from the farms where the bean is grown to the neighbours across the street. Together, Mark and Tony planned a business and cafe in Mona Vale, thus beginning the glory that is now known as Coffee Brothers! A trip to Tanna Island in Vanuatu established initial contact and key relationships with the farmers who now supply our coffee and the opening of the cafe in 2012 kick-started a dedicated community of coffee lovers. This community has expanded wider and wider, becoming a special hub for special people, drinking very special coffee! In the eyes of the Brothers – dream achieved! 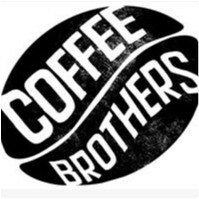 Driven by a passion for community, quality and experience, the Brothers have turned their eyes to bigger projects, expanding the Coffee Brothers business whilst maintaining emphasis on a quality coffee experience at the cafe. Turning their gaze globally, the Brothers now look to coffee farms all over the world to expereince new and interesting things, bringing back only the very best for consumption here at home in Australia. Coffee Brothers is more than a cafe business – it is a wide, ever growing family of coffee lovers, all who seek to share their knowledge, passion and experience – from our baristas, to our social media and from our founders to you – our fellow coffee drinkers!